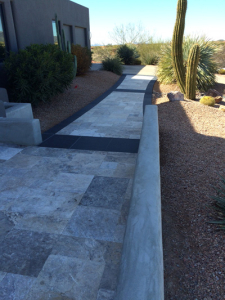 Illustrated below is the new front walkway and courtyard entry for a contemporary style home. 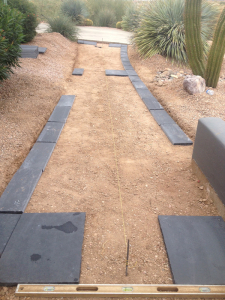 The dark stones/tiles are an Indian lime-black slate; used as borders and deco strips. 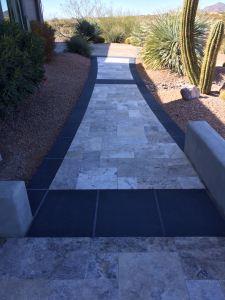 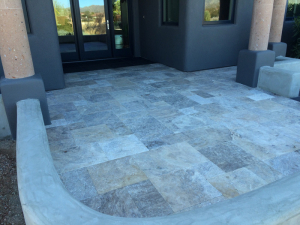 For the interior, we have used a 4-piece silver travertine paver. 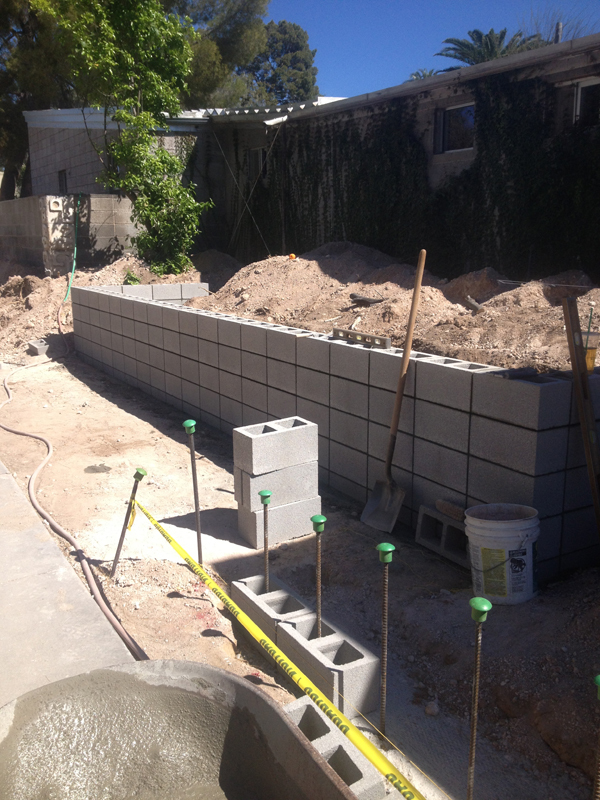 We are currently doing upgrades on a contemporary style home. 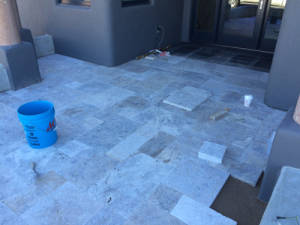 In progress and illustrated below is the new front walkway and courtyard entry. 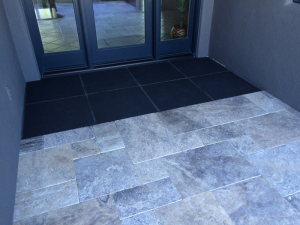 The dark stones/tiles are an Indian lime-black slate; used as borders and deco strips. 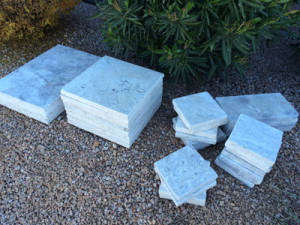 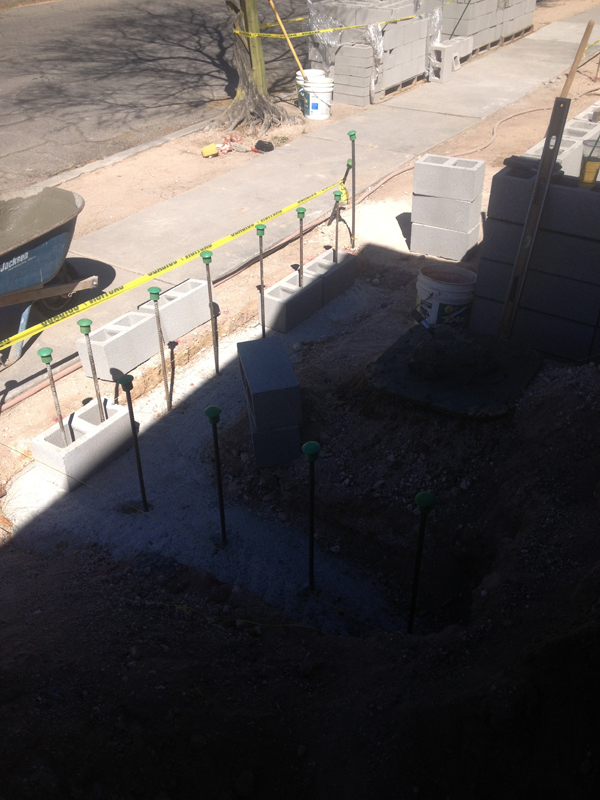 For the interior, we’ll be using a 4-piece silver travertine paver. 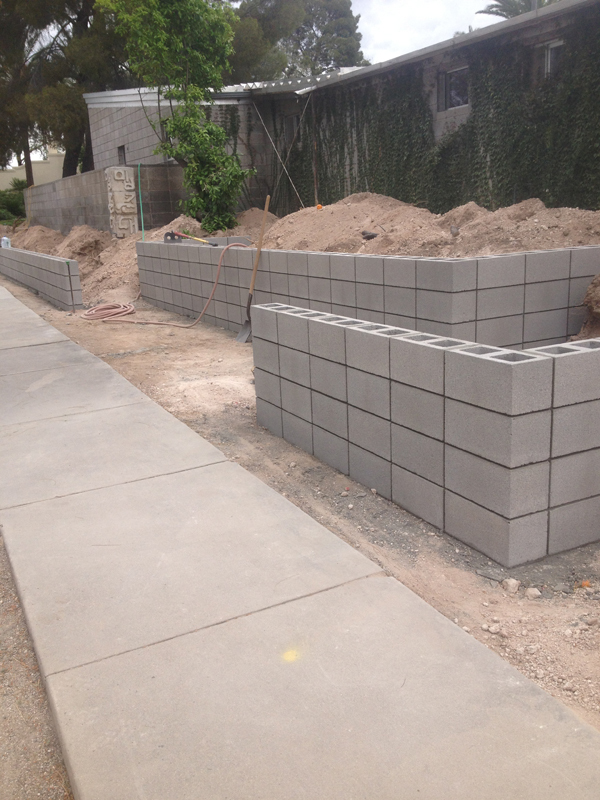 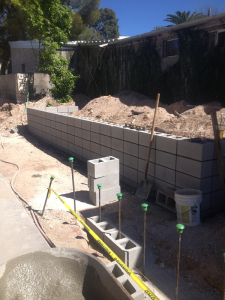 The current project we are working on is a modern style staggered block wall. 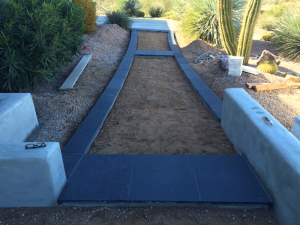 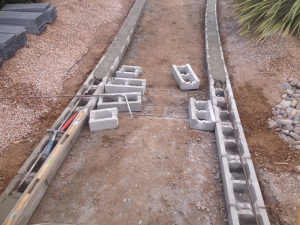 The photos in the gallery below show the progression of the work we have completed.